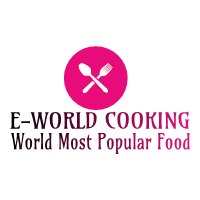 Chicken Lollipop Recipe ~ E-World Cooking-The World Most Popular Food. 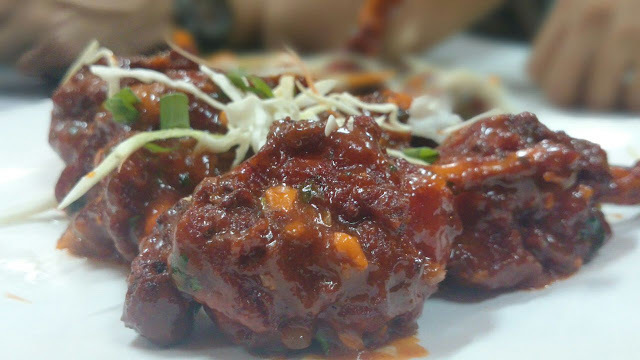 Chicken lollipop is Associate in nursing appetizer widespread in Indian Chinese cookery. Chicken lollipop is, basically a frenched chicken winglet, whereby the meat is broken free from the bone finish and pushed down making a lollipop look. It’s typically served hot with Szechuan sauce. Chicken lollipop is sometimes ready victimization the center section of the wing or thigh. The center section has one amongst the 2 bones removed, and therefore the flesh on the segments is pushed to at least one finish of the bone. These are then coated in an exceedingly spicy red batter whose main ingredients embrace red seasoned, and turmeric. The coated chicken is then marinated for one or two of hours. The marinated chicken is sometimes deeply cooked in oil, however, another well-known selection includes baking. The exposed bone is usually wrapped in foil. Kashmiri Red chili powder-2 tsp. Cooking oil as you need. To make the chicken lollipop first marinate the chicken Add Ginger Garlic Paste, red chili powder, salt and soy sauce with chicken. Mix it very well. Make sure that the masala is coated properly, after that cover the bowl and leave it for 30 minutes. After 30 minutes take a bowl and add all-purpose flour, corn flour, little bite salt, Kashmiri red chili powder. Mix it, add some water and make a semi-thick batter. Please ensure sure that there are no lumps in the batter. For chicken lollipop, marinated chicken and batter are ready now. Switch on the oven, heat a pan and add cooking oil. Let the oil heat properly on high flame. When the oil is heated then reduce the flame. Now dip the chicken lollipop in the batter and put it into the hot oil. Fry it for 2-3 minutes on medium flame. Flip it to fry another side. Fry it on medium flame till its turn’s golden-brown, keep flipping continuously. When it is golden brown, take it out on a kitchen towel. Remaining chicken lollipops are fried in the same way. Fried chicken lollipops are ready now. Heat a pan on medium flame and add vegetable oil. Once the oil is heated add garlic & Fry it 30-40 second on medium flame, then add soy sauce, tomato ketchup, red chili powder, and Szechuan sauce. Mix it well. Add fried chicken lollipops in it. Mix it or toss it well. Make sure that the chicken lollipops are coated properly with the sauce. Turn off the flame. Sprinkle spring onion on top. Toss it again. Chicken lollipop is ready. Make small pieces of foil paper sheet. Wrap the bottom of chicken lollipops. Additionally, you may decorate it with onion and lemon slices its depend up to you. Garnish with spring onion if you like. Serve hot. Chicken lollipop is one of my favorite dishes. You can try it at your home. To get the latest update please subscribe and click on the bell icon, to know more click here.